2014 has been a bumper year so far in many ways… and one of those ways has been in recruiting and training a new group of Inverness Street Pastors. In January we held an Information evening – hosted by the Mercure Hotel – in the City Centre. We were expecting around 20 people to attend, and 37 turned up and filled the small meeting room we were using. 16 people signed up… and over the next few months we covered the basics of roles and responsibilities of Street Pastors, what the Good News we share is, listening skills, our protocols on working with the Police Service, protecting vulnerable groups, how to make referrals and the general “nuts’n’bolts” practicality of what being a street pastor in Inverness means… we had teachings and role plays and laughter – and sometimes tears. By the middle of June – the training was complete. And at the service the work of Inverness Street Pastors was supported by Highland Council and Police Scotland. The commissioning was a little bitter sweet, as a number of our lon standing street pastors were also leaving the team… and the service gave us an opportunity to acknowledge the service and support that they had given to the city. And in January the process starts again – recruiting more to the team… to listen, to care and to help those folks we meet in the City… demonstrating the love of God in practical ways. 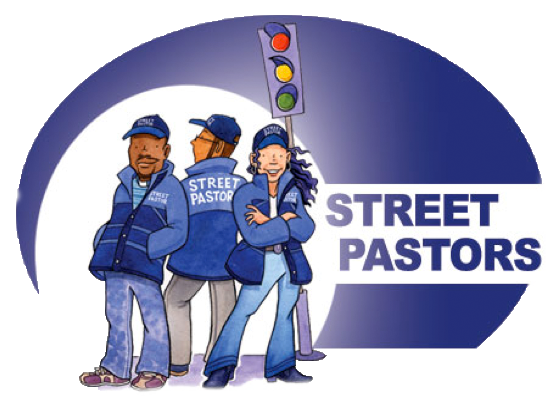 So if you’re interested in being part of the Inverness Street Pastors team drop me an email at drew@loveinverness.org, or call me on 07738 470808, and let’s have a chat. This entry was posted in Effective Church, Mission, Street Pastor, Video and tagged Inverness Street Pastors, Mission, Training. Bookmark the permalink.